The value of nurturing a right relationship with Yahuwah the Creator, and understanding his plan for yourself and mankind are vitally important. 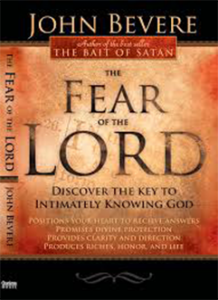 The journey is one of a lifetime of knowing, but it starts with learning about the fear of Yahuwah. In researching the feasts you will feel as though you are only looking at the mouth of the rabbit hole. Well, I hope to make your journey a little easier by sharing the books I studied to help me ascertain the Hebraic understanding behind these holy and perpetual feasts of Yahweh. I pray you will be blessed after reading these, as I have been. Remember, this is the greatest journey of discovery you will ever embark on, so enjoy the ride! Genesis chapter six presented an indelible change in Earth’s history that brought about the Flood. Matthew chapter twenty-four speaks of the ‘days of Noah’. 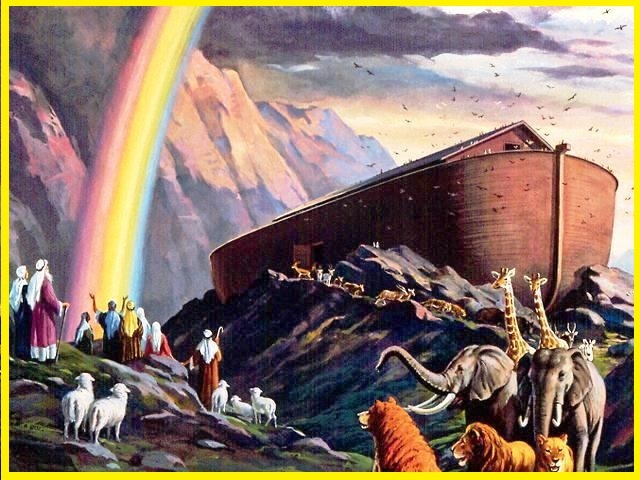 Just what is meant by the ‘days of Noah’? The Bible and history prove the Rephaim/Giants were demonic entities on the Earth and their descendants have been here a long time. Could we see an end time rise of demonic entities in the last days before Yeshua returns? After reading these books many questions will be answered that you may or may not have had unanswered for far too long. Secret Societies and Satanic Bloodlines rule the world. Everything you need to know is here. 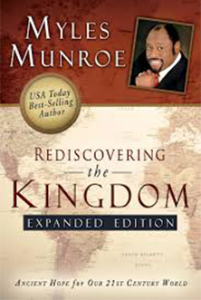 Father’s plan to restore the House of Israel is biblical. Come read and see just how significant it is to Yahweh. 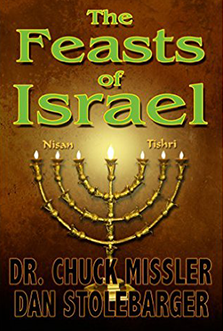 These books are dear to me as they were the early days of my journey into Hebrew roots. Talk about scales falling off your eyes, you will never be the same again! When the Bible says “Let this mind be in you that was also in Christ Jesus” (Phil 2:5) just what does that mean to the church? Here is a small gathering of books on Jewish antiquity of which there are many on this vast subject. I hope you learn to respect and love Jewish culture as much as my family and I have come to. It’s so easy for us to think the Saviour was born Jesus and was sent to start Christianity when that could not be farther from the truth. Born Yeshua and endorsed the Torah as ‘the way’ and indeed stated he is the living breathing edition of Torah in the flesh! (John 14:6) Paul’s writings have been misunderstood and need t be understood in their proper Jewish context. Along with the staple copy of the KJV bible no bible student worth their weight should be caught without an arsenal of versions in their search for the Truth. Accompanied with proven bible study tools. 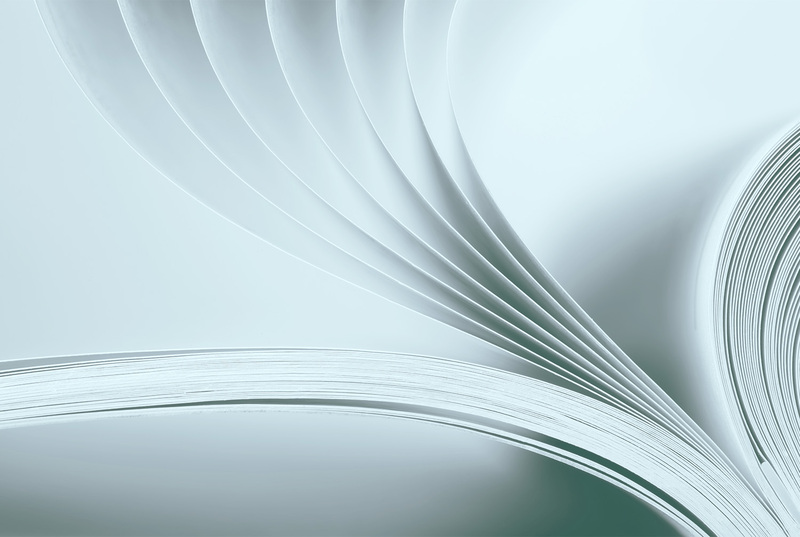 Studying the word involves more than just reading the word. It requires one to analyse the word. Many good authors are out there who unpack the biblical, paleo and pictographic Hebrew well, such as Jeff A. Benner. Greek would never be the language of the NT writers, as the language does not support the references, puns, idioms and expressions, nor convey the messages that the writers were intending to deliver to a Hebrew audience. It is inevitable that at some point relationships, especially marital relationships, will run into difficulties and problems will rear their ugly heads. How one perceives his spouse, how she respects him and how he expresses love to her are essential in rebuilding those fallen walls. 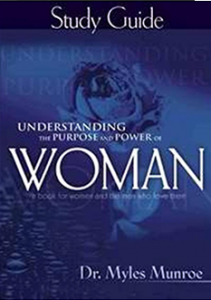 In my experience as a counsellor, having worked with the most severe issues imaginable in marriage, I have compiled this list of books that I have personally reviewed and recommend as essential material and self-help. No marriage is impossible, there is only and impossible attitude. All things are possible to them that believe, so our problem now becomes one of trust/faith. If the New World Order and conspiracy facts are your thing then look no further! The ‘PESACH’ or Passover as it is more commonly known is arguably one of the holiest of Yahuwah’s appointed times in the year. Occurring in the spring, it is a major highpoint in the land of Israel marking the beginning or head of the year (Exo 12:2). 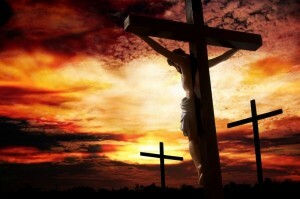 To all Hebrews across the globe and in every nation this is an especially holy time. It is to the believer in the Hebrew roots of Christianity, what Easter and Christmas are to the mainstream church. A visit to any store stocking produce for Passover is to witness a buzzing hive of activity as observant believers frantically source all the necessary items needed for the feast in the run up to the Passover. Indeed, no other feast day is quite like this ‘moadim’ meaning appointed time (Deut 16:16, Exo 12, Luke 2:41). Associated with this night of the Pesach are the feast days of Unleavened Bread, and in the midst of these days, the day of First Fruits, which takes place on the evening of the 16th of Nissan/ Av called ‘Reshit Katzir’ meaning ‘The beginning of the harvest’. But I’m getting ahead of myself. Before we begin to look into unpacking the meaning, purpose and relevance of the Pesach we must first take a journey back through time and return to a moment in history. A moment in the chronology of mankind when the first man was given the commandment (Gen 2:16) or more simply put ‘a loving instruction to protect man for his own good’ for that indeed is what Yahuwah’s commandments are. 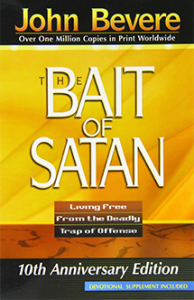 We recall a time when, lacking trust/faith in the creator’s word regarding the penalty of eating from the tree, the first man disobeyed his Father’s loving instruction to not eat of the tree of the knowledge of good and evil. 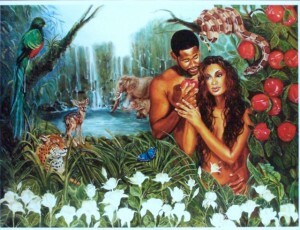 As a result of the disobedience of Adam all the descendants of the first Adam would eternally be born in sin which is to say guilty of transgressing the law (1 John 3:4) for which the fullest penalty for Adam was the banishment from the presence of the eternal Father and the loss of the joyful intimacy through relationship with Him in the garden. That ultimately, leads to the introduction of death into the reality of Adam’s existence, and so to, the seed of his progeny who would inherit this curse. Now that we have set the backdrop for the Passover let’s go ahead and begin to unpack a little of the history and rich meaning behind the great feast of the Pesach. 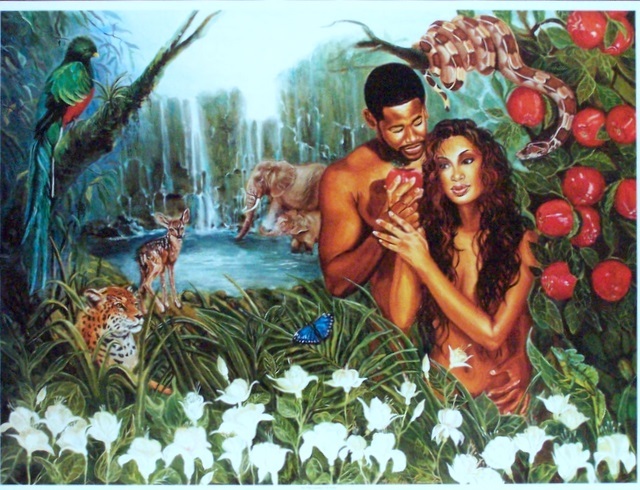 Ever since the first transgression, the sin of Adam and Khav-vah (‘Life giver’ or ‘Life spring’ later renamed Eve by the western Christianity), we see the important significance of sacrifice appearing time and again through the history of Yahuwah’s relationship with his people. The first example being the shedding of blood through the medium of an animal skin to “clothe” their nakedness as a consequence of the first original sin. 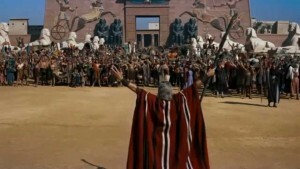 We see Noach offering burnt sacrifices affirming a covenant of peace for the redemption of all those living on the Ark. And later, Abraham laying his only begotten son upon the altar is prevented from slaying him. Here we see the prophetic relevance of Genesis 22:14 where ‘Yahuwah who provides’ a ram in place of his beloved son Isaac. May I highlight a wonderful parallel here to Yeshua, that Isaac is willing, and of his own volition, agrees to become the sacrifice that his father desired in order for this act of worship to be fulfilled. Now the stage is set and places prepared let’s move on toward the main course! 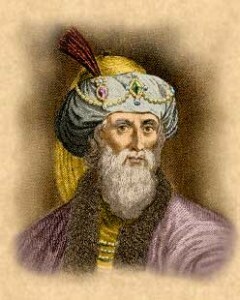 Through ancient sources such as Flavius Josephus (born Ben Mattiyahu), Alfred Edersheim, The Mishnah and the Talmud we learn the history of the temple service, of just how the life and ministry of The Messiah, Yeshua was intertwined into the entire temple ritual and ordinances into every facet of the building and ministry of the priests. To ignore the ministry or the minutest of detail incorporated into the ‘ancient rituals’ of the temple ordinances, as ordained by Moses in scripture, is to neglect the very acts, purposes and fulfilment of Yeshua’s redemptive work for mankind. 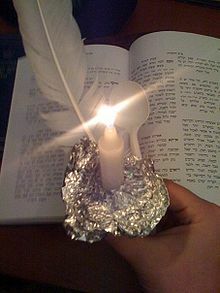 So let’s delve into the ordinance concerning the Pesach in Exodus cp. 12. On the 10th day of the month of Av/Nissan the High priest would have selected from the sheep/goats choice lambs of the first year for exclusive use in the holy feast. This sheep pen where the lambs were to be sourced was located in a small town half a day’s journey from Jerusalem, this town of Ephrata was also known as Bethlehem. Is it any wonder that the Lamb of God that wrought salvation for the world was born in Bethlehem-Ephrata (House of Bread and Fruitfulness)? This dear friends it is by no coincidence but by divine orchestration. (Qurban = to be close to someone or something. The offering of a sacrifice is intended to draw one closer to the one receiving the sacrifice). Draw nigh to God, and he will draw nigh to you. 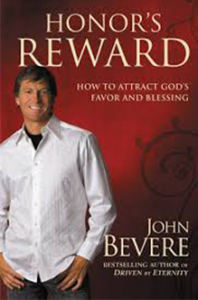 Cleanse your hands, ye sinners; and purify your hearts, ye double minded (James 4:8). Between the 10th and the 14th Av/Nissan the animal was to be inspected for any blemish or defect and only the best and purest of the lambs could be used for sacrifice for the Cohanim (priesthood) and the Passover Sacrifice for the Nation of Israel thus it would be deemed as Qurban. For each abode the head of the household had the responsibility to inspect the lamb to ensure it was free from disease and any form of uncleanness or defect. (Exodus 12:5-6). 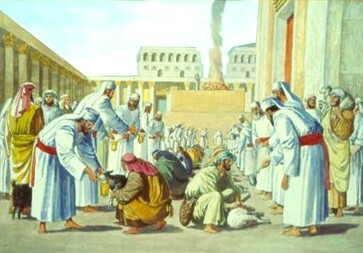 The priestly role was to inspect the lambs on the Temple grounds as the animals were shackled near to the altar where they would be bound and slain on the brazen altar which sat in the open courtyard facing the Temple doors. To ensure that the lamb was ‘perfect’, ‘acceptable’ and wholly pleasing to God for three days they would undergo the strictest scrutiny and inspection. At this point we recall the incarceration and trial by examination of Yeshua (Luke 22, Matt 26:57-75; 27, Mark 15). This lamb carried the role and hopes of atoning for the sin of a household, make no mistake this was an acceptance of a blood covenant with Yahuwah. 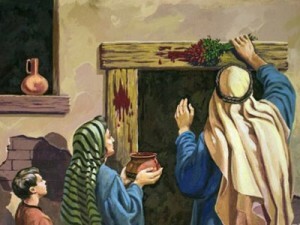 Thus the head of the house hold has the charge to cover the home with the blood of the lamb and the meat of the lamb to be roasted not boiled and devoured that night with bitter herbs (Exodus 12) by all the members of the household who wish to be under the covenant. 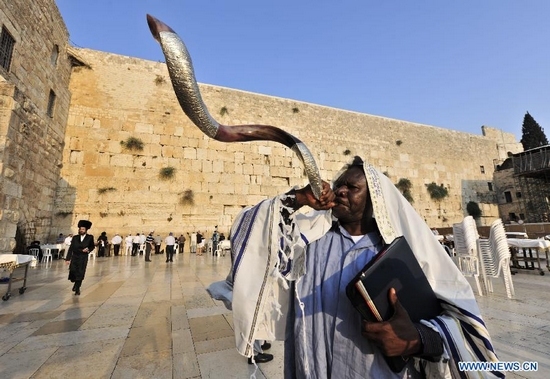 Following Yahuwah’s instruction, the Pesach was first instituted by the Israelites three and half thousand years ago in the land of Kemet (commonly known by its Greek name ‘Egypt’). It commemorates the evening where every Hebrew was instructed to take a lamb of the first year and on the evening of the 14th of Av/Nissan slaughter it and using hyssop[i] apply its blood on the lintel (Mash-kofe) and side posts (Mez-zuzah) of the door to every household. The blood would flow and run into a small trench at the threshold of the doorway forming a perfect and unbroken seal around the entrance to the household. This Seal around the door would protect all the occupants from the judgement that was to arrive that very night as the destroying angel visited Kemet (Egypt) in fulfilment of Yahweh’s final judgement against Pharaoh’s decree preventing the Israelites from leaving to worship Yahuwah in a spirit of liberty. That night the destroying Angel visited every home and whomever was found without the blood of the lamb upon the lintel, destruction of the firstborn was swift and sure. The following morning the 15th Av/ Nissan, after the loss of his own first born son, Pharaoh agreed to let Yahuwah’s people go. So swift was the decree from pharaoh for the Hebrews to leave the land of Ham[ii] the Hebrews did not have time for the bread baked to rise. Henceforth this became the origin of baking bread without yeast, now called unleavened bread. Oh what a glorious morning for the nation of Israel! Oh how glorious to experience liberty and emancipation after 430 years! 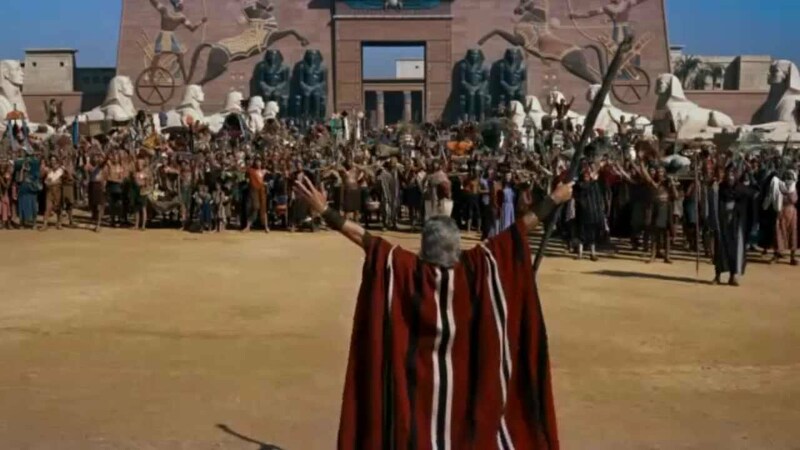 On the 15th Av/Nissan Hebrews forever will remember this day as the day Yahuwah set them free from the Adversary forever by his own outstretched arm. 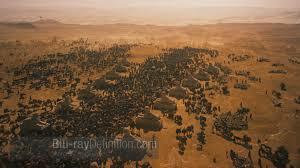 Over the thousands of years since the Exodus the modern day Passover of the Hebrews has undergone significant change. After the Babylonian captivity of Israel many items were added eventually resulting in the scribes creating the ‘Seder’ meaning ‘order’ of service. 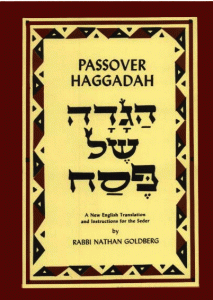 A book was also formulated called the Haggadah meaning ‘telling’. In the weeks leading up to the Pesach celebrations there is a real sense in the air for renewal of all things and a time of preparation. It is customary to clean the entire house, searching particularly for yeast/leaven that might have found its way behind the couch or the television. The reveals the parallel between sin and pride which puffs up character, it is the yeast/leaven that causes the bread to spoil and decay. Removing yeast from the bread will result in it lasting for weeks, even months with no signs of mould. So every trace of leaven is eradicated out of the home and disposed of in fire. By now you may probably have guessed it, this is where the tradition and timing for spring cleaning has come from. Extreme care and ultra-meticulous attention is exacted by all in the home to ensure not one trace of leaven is hiding where it should not. Everything is washed, swept or thrown out! On the penultimate day of the 14th of Av a final search is carried out called the ‘Bedikat chametz’ meaning search for leaven. Exodus 12:15 is the commandment to remove all leavened bread (bread with yeast in it) out of the home for seven days. 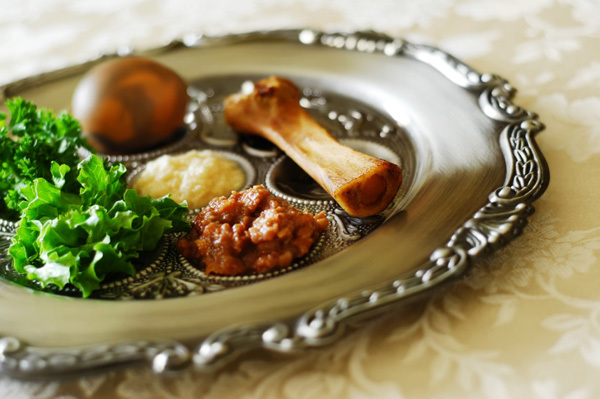 It is traditional to involve any children of the home in much of the preparations for the Pesach as it is after all a family celebration and festive occasion. Armed with a wooden spoon a candle and a feather the last search is carried out to find any nooks and crannies that may have become hideouts for any leaven on the run. What is the purpose of all the cleaning, washing, sweeping even burning? “Search me, O God, and know my heart! Try me and know my thoughts! And see if there be any grievous way in me, and lead me in the way everlasting!” – (Psalm 139:23-24 ESV). “Every one that is proud in heart is an abomination to the Lord.” – (Proverbs 16:5 KJV). In living out our lives great importance is placed on the need to create time in our busy schedules to examine ourselves to see if we really are living the life we are called to live (2 Corinthians 13:5). Now we see that for all man’s efforts to clean himself up, the best he can hope to achieve will result in him, missing the mark or falling short of the goal hence the need for a saviour. The saviour Yeshua Ha’mashiach. So, after all the cleaning, inspecting and searching we finally arrive at the main event where we can commence the meal. As mentioned earlier a lot has changed in how the Pesach is observed since its inception in Kemet (Egypt). Where once it was a simple solemn meal, now we have a formulated order of service incorporating it into Haggadah, a Seder plate and choice foods and now the famous four cups of wine. 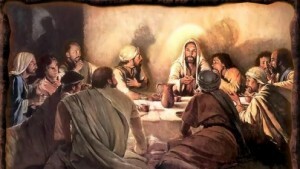 In the gospels (Luke 22, Matt 26), Yeshua sent forth his disciples to go to meet a man who had apparently received instruction from the Ruach Ha’kodesh (The Holy Spirit) to prepare a place for the Passover and advise that the attendees were on their way. The meal would have been a veritable banquet, a symphony of delicacies from in and around the holy-land. Indeed, not a meal but a feast. So in preparation for the meal all sorts of delightful delicacies are made available to garnish the Passover table with no small selection of beverages and wine. After all, this is not just a mere meal but indeed a feast fit for the world’s humblest king. The meal was conducted much as it is now. Psalms were read, prayers were said and a recalling of the deliverance Yahuwah worked by his own hand in delivering the Israelites from their cruel oppression. The disciples sang ancient hymns from the psalmist that helped to recall promises of their salvation at the hands of the Messiah who, on this occasion, was sitting beside them distributing food and wine to them. Yeshua shared three of the four cups of wine that carry significant and historic meaning for the Hebrews, each establishing one aspect or another of Yahuwah’s healing and deliverance in his people. The first pointing to sanctification, second deliverance then redemption and the final and fourth cup is the acceptance/marriage of the bride. This final cup points to the celebration of the marriage supper of the lamb which is yet to occur at the culmination of the fall feasts the feast of the nation’s known as Sukkot/tabernacles. It represents the final union of the bride groom and his bride at the end of the age, this final fourth cup Yeshua refrained to drink until the culmination of all things (Mk 14:25, Luke 22:16-18, Matt 26:29). As we partake in the Pesach we are to be reminded this is not merely a looking back and recalling the deliverance worked in the land of kemet thousands of years ago but also it is a view of the prophetic, looking forward to the redemption yet to come, rescuing us from the Kemet of this world age. There is much more that can be said about the Passover Seder and what each item pertains to. For that and much more please refer to the A’havah Fellowship Video archive where you will find a two-part teaching explaining all of the deeper prophetic significance of the Passover. Further articles will also be made available unveiling the mysteries contained in the spring feasts. The wider body of the church is slowly growing in the realisation that the holy feasts of Yahuwah all have End-Time significance for believers in Yeshua and not just Jews. They do not merely serve as memoirs of what Yahuwah once did but rather serve as reminders of what Yahuwah is going to do. We would like encourage you to keep revisiting the A’havah Fellowship website where you will discover more of the relevance found in the Spring feasts, the Pesach, The Feast of unleavened Bread, Day of First fruits, the counting of the Omer, and the Feast of Shavuot known as Pentecost. Then to the fall feasts, Yom Teruah known as Feast of Trumpets, Yom Kippur the Day of Atonement and finally Sukkot known as Tabernacles. 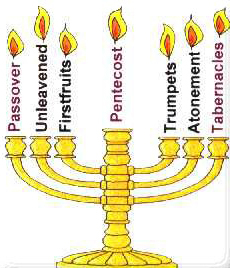 These are the seven feasts of Yahuwah – (Lev 23). In subsequent teachings and presentations, I will elaborate more on the beauty of Yahuwah’s plan told to us through his feasts for us to be reminded of the good news that of the kingdom of Heaven being accessible to us and of being filled with the expectation and hope of his soon return through observing the feasts by faith as evidences of his promises – (Heb. 11:1). ‘Origin of Pesach’ Pg. 1: The names of the Hebrew months have partially been lost or replaced due to the Israelites captivity in Babylon/Media Persia. The Babylonian month of ‘Nissan’ is known to the Hebrews by its original name ‘Aviv’ so they are one and the same though biblically Yahuwah refers to Av (Exo 13:4, 23:15). In the book of Nehemiah and Esther is where we see the indoctrination of the Persians (Neh 2:1, Est 3:7). 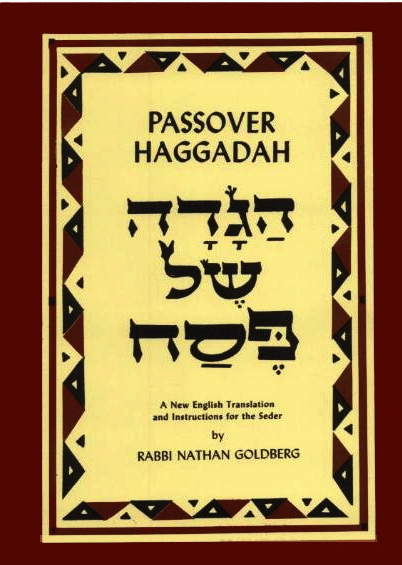 For the purposes of this teaching resource both references will appear to enable the avid student to recognize that both names are used widely in reference to this season of the Passover. ‘Hyssop’ Pg. 3: a brightly coloured shrub that grows is the middle-east known for is antiseptic and medicinal benefits. The land we know as Egypt was named so by a new and rising power in the west that of the Greeks. Few know the word Egypt is actually a Greek word. 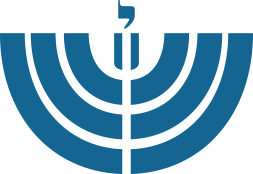 This vast land in North-east Africa that encompasses much of the Nile was called by its inhabitants by its original name of ‘Kemet’, which means ‘The Black Land’. All of these names were originally spelt without vowels, so for example Kmt. The Hebrews called the land Mitzraim mentioned in the bible (Gen 10:13) as a descendant of Ham he would go on to be the father of this mighty nation of pharaohs. The Greeks called the whole land Egypt from ‘Aegyptos’ in error after poorly transmogrifying it with the second name of one of the major cities ‘Hwt-ka-ptah’, this information and much more on the topic is available from the British Museum.